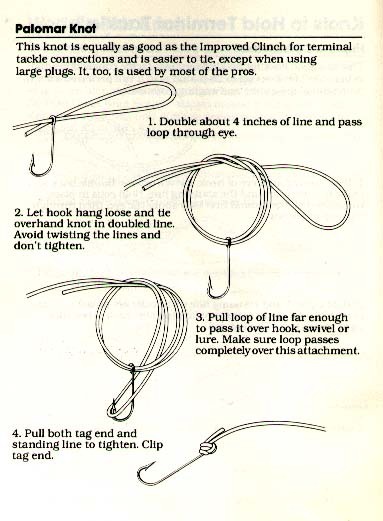 While fishing most of my life, I picked up some helpful tips. Click on the season for the Basshunters best tips! of the weedbeds looking for a meal. This is the second-most important cover to search for. Look for standing timber, logs, submerged stumps, and submerged brush. farther from it with a large strike zone. not stay there long , however, unless there is cover and the associated FOOD that the cover draws to it. Let me give you an example. m - The Jig-worm is the ultimate EDGE bait designed to catch bass off weed edges. The Jig-worm is made by using a common leadhead jig into a 4 or 6 inch worm with an exposed hook. You can't fish this bait in heavy weeds but at the weed edges (outside or inside) this bait is dynomite. Use this bait as a verticle presentation during cold fronts when the bass are holding to the weed edge. If your bait snags in the weed edge, simply lift the rod sharply to rip it free. This usually entices finicky bass into striking. Floating Worms - Floating worms are usually about 8 inches long and come in all kinds of HOT colors. Rig the floating worm Texas Style without weight to fish floating weed mats and Lilly pads. Simply cast the worm out and slowly work the worm back, letting it drop into holes in the pads or weeds. When you feel or see the strike, you must react quickly keeping your rod tip high and reel fast to get the fish out of the junk. Try to keep him on top and constantly coming toward you or he will bury in the weeds to try to get off. 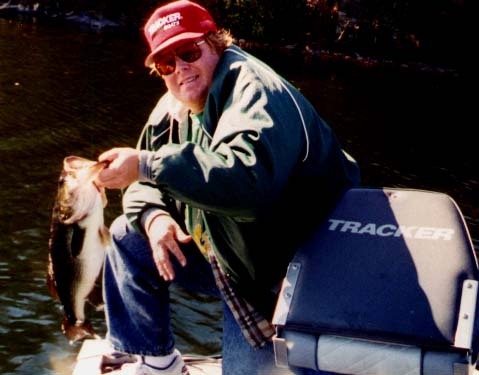 This is very exiting worm fishing and I love fishing the pads. have at least one knot that he can tie in the dark. Below are two of my favorites that are nearly 100% knots. 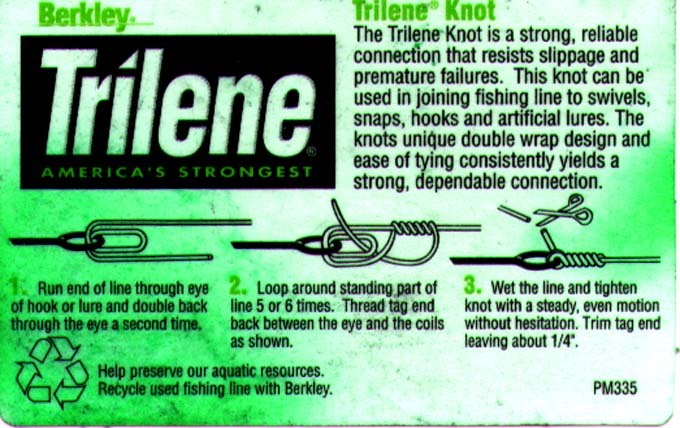 frustrating than to lose a nice fish to a bad KNOT. I hope you enjoyed reading my tips. Most are from many years of experience and trial and error. I sincerely hope that they can help you be a better fisherman. Remember, keep only what you need and release the rest to catch again.